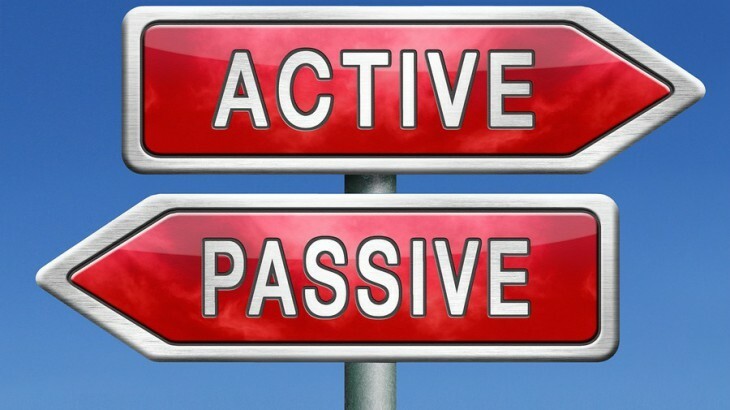 You’ve probably seen the terms “Active Investing” and “Passive Investing”. We wanted to take a little while to describe the difference, particularly as it applies to the Real Estate investing in which we participate. If you are actively investing in Real Estate you are actively working to make your investment a success. Let’s say you decided to become a landlord. You contact a real estate broker, find a home to buy, negotiate with the seller upon a price and contract, procure a loan, and buy the property. Then, you advertise for a tenant, screen the prospective tenant(s), do all of the paperwork, and get the tenant moved into your property (and start collecting rent). Then, as issues come up with the home… roof work, HVAC work, clogged toilets, etc…. you take care of them, according to the terms of the lease you worked through with the tenant. You collect all of the rent, and you are responsible for making sure that everything gets done. That’s the basic idea behind an active real estate investment. To be a bit extreme, “active” = “J.O.B.”. A passive investment in Real Estate is similar in some ways, and different in others. There is still a real estate broker involved, a property, a negotiation, a loan (typically), a purchase, tenants, screening, paperwork, and maintenance/upgrade issues with the property. But, the passive investor doesn’t deal with any of them. The passive investor contributes funds that are needed for the property, and an asset manager does all of the steps above. The investor and the asset manager will divide the income from the property according to the terms they have agreed upon. We act as an asset manager and offer the opportunity to passively invest to investors that are a good fit for us and the specific piece of real estate.